Vitamin D is a steroid hormone involved in the active intestinal absorption of calcium and in the regulation of its homeostasis. Vitamin D has two forms: Vitamin D 2 and Vitamin D3. 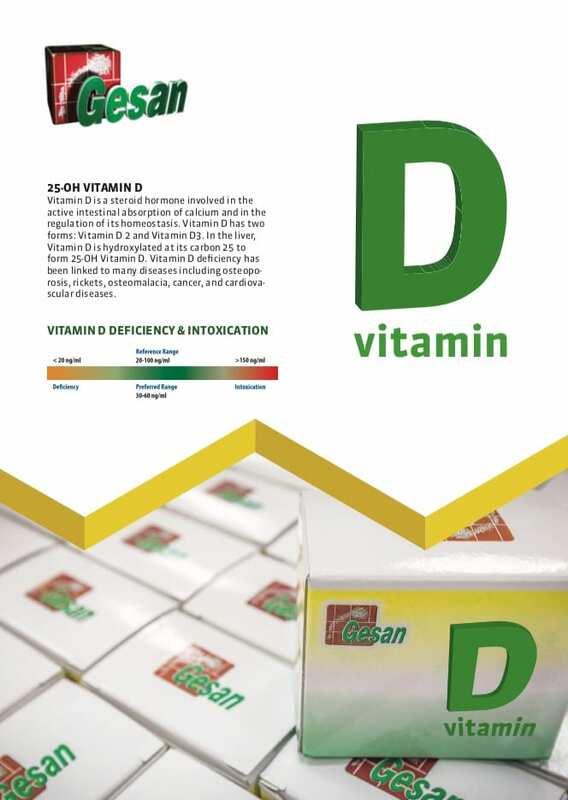 In the liver, Vitamin D is hydroxylated at its carbon 25 to form 25-OH Vitamin D. Vitamin D deficiency has been linked to many diseases including osteoporosis, rickets, osteomalacia, cancer, and cardiovascular diseases. The Gesan assay kit is fully automated for chemistry analyzers.